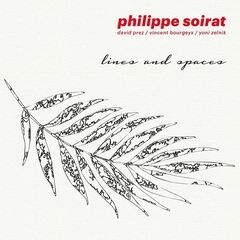 When, in 2015, Philippe Soirat released "You Know I Care", the first album under his name, many people were relieved. The drummer, hyperactive actor of the Parisian jazz scene and popular sideman, had indeed never put himself under the light, preferring to put his science of colors to the service of others. Lee Konitz, Lou Donaldson, Johnny Griffin, Mark Turner, Phil Woods, Steve Grossman, Laurent de Wilde or the Belmondo brothers, among so many others. Good news, even if he admits not to have the soul of a leader, Philippe Soirat has finally dared to take the plunge. A story of alchemy for a quartet who knew how to speak a common language from the first hours and where each member knows how to free himself from the stylistic barriers. A must see.